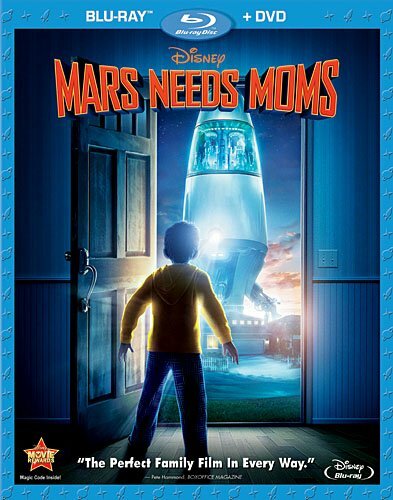 From Disney and Academy Award-winner Robert Zemeckis (best director, Forrest Gump, 1994) comes the craziest adventure this side of the galaxy Mars Needs Moms. Take out the trash, eat your broccoli who needs moms anyway? Nine-year-old Milo (Seth Green) finds out how much he needs his (Joan Cusack) when she's nabbed by Martians who plan to steal her mom-ness for their own young. In a race against time and oxygen, his quest to save her knows no bounds. And with some unexpected help, Milo just might find his way back to her in more ways than one. Complete with intergalactic bonus features, it's a thrilling journey that's pure, out-of-this-world crazy fun.